Sky Villa/Duplex Penthouse. 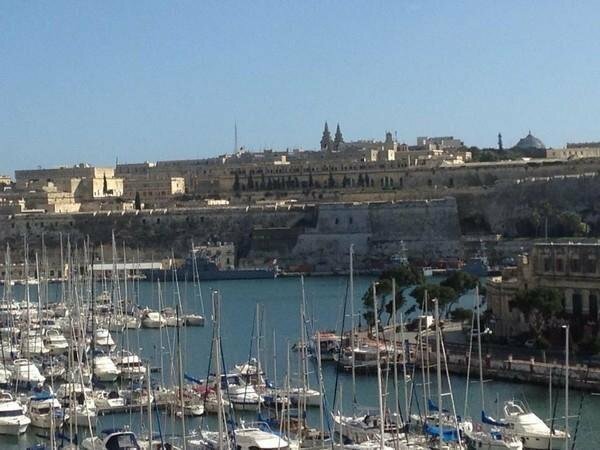 Have you ever dreamt of waking up in the morning with views of the Yacht Marina in Ta' Xbiex and European Cultural Capital for 2018 - Valletta. Built by the knights of St. John in the mid-16th century this fortified city along with the splendour of the Mediterranean Sea can be the first things you see when you wake up in the morning. This truly majestic penthouse is spread over two floors with approximately 600 square meters of luxury living space. Hard wood parquet flooring, state of the art kitchen and the latest and newest furniture available is all included here - as one would rightly expect from a property of this prestige. The views are something out of this world, the stuff of dreams - do not take my word for it take a look at the attached photos. With a large, double fronted façade where the living and dining rooms lead out onto the spacious terraces, and the bedrooms all located at the back of the property, there is ample room for entertaining on the terraces without disturbing anyone in the bedrooms. Every conceivable luxury can be found within the walls of this amazing and unique home. There is ample room on the terraces to construct an outdoor pool and/or Jacuzzi and presently is being used as an ‘Al Fresco’ dining area with full barbecue and cooking facilities. The top level can be an independent unit or connected to the lower level. This level alone has three bedrooms and massive terracing at the front facing leading off from the living/kitchen/dining area Valletta. A pool can be constructed on this level too. Further complimenting this lavish and luxurious property there is a 4 car garage at basement level accessible by direct elevator. Ta Xbiex is a very exclusive location mainly due to the large colonial villas along the promenade and luxury apartment blocks (such as this one). Within walking distance to Sliema as well as Valletta and within easy reach of all amenities, this is a little know ‘secret’ location in Malta with very limited supply of property of any sort available for sale - another compelling reason for making this option more attractive and exclusive.